AIM: Make a stock ship that would be able to deliver cargo of ore to Laythe from Kerbin. Noob mode: take your time, land safely 10 tons of ore to Laythe. This is interresting ! Does decoupling empty fuel tanks qualify for ship must survive if the core / superstructure is complete ? When on Laythe, can we undock ore tanks or do we have to purge them ? 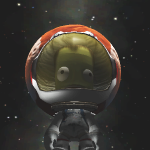 Super hard mode : Kerbin Laythe Kerbin under 3 years ? Interesting challenge, I may attempt it. Are you allowed to launch the ship seperately from the cargo and load the cargo in orbit? First off, for the return mode, how much of the ship must return? I can't imagine SSTO-ing all the way there and back with that much cargo, so staging would probably be used. I may try this, I have some experience with delivering massive payloads to Laythe, I did a giant 150t ring station in one launch once. If the theme is Fedex, that means commercial trucking ops, meaning an emphasis on rapid transit, low costs (as much re-use as possible, or the cheapest expendables possible), and you would expect infrastructure (truck stops) to exist. 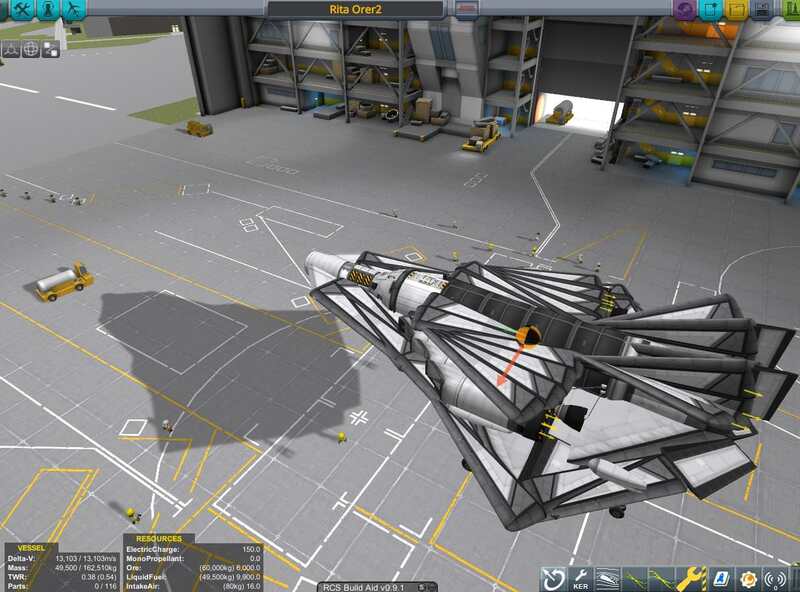 So, would an SSTO, with a gas station at Minmus and another in the Jool system be ok? Delta V with full tanks is just a hair over 2800, so even if I top it off in Kerbin orbit, it's not got a huge amount to spare for the Jool Transfer burn. Hmm.. should i keep going with this airplane or scrap it for something with a longer wheelbase? ....pedal to the metal, no stop till Kansas.. If we set up infrastructure in advance (fuel stations, support craft, etc.) do you want to see all those launches and transits and whatnot, or do you only care about the main cargo ship? First of all: wow, that SSTO has a lot of things going on. @Matt Lowne, paging @Matt Lowne... 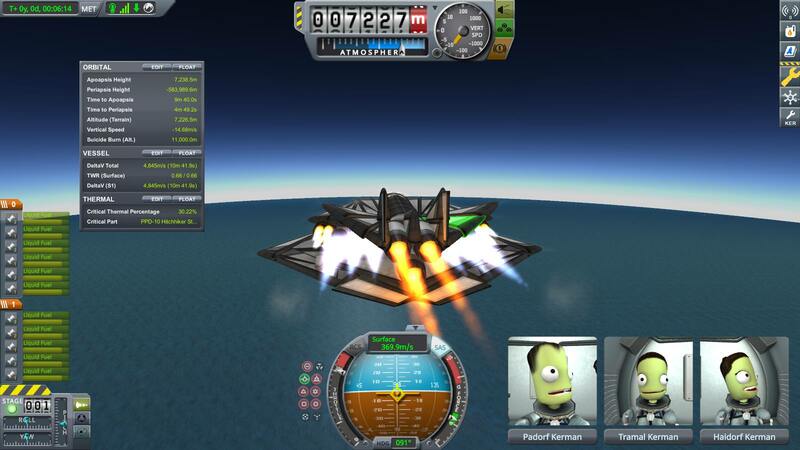 Your presence has been requested for the FedEx Kerbin - Laythe shipping challenge. Well... 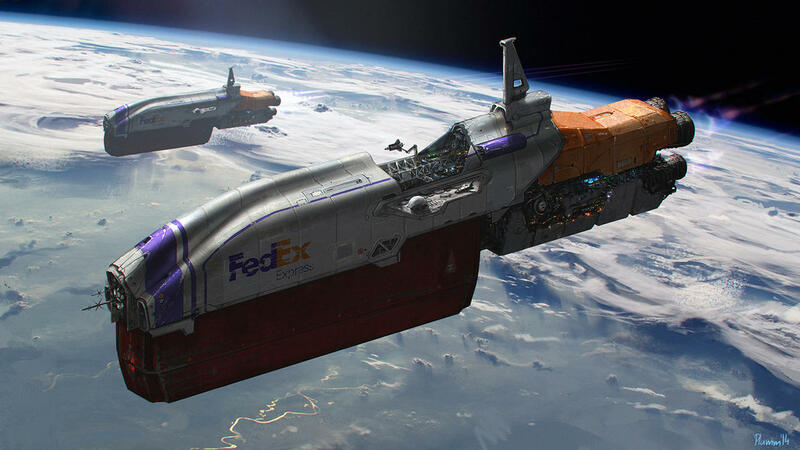 The scale of the OP image just got to me, just now noticed the little space shuttle! @Rover6428 Do you mind if I do my attempt in 1.3.1? And would Kerbal Joint Reinforcement be allowed? Okay. Are mods that do not affect physics (informational and visual) okay? I can take KJR out of my GameData folder but I don't currently have a hard stock installation, but once I remove KER there are no physics changing mods in there. Where did you get this picture from? Okay, call me crazy... I might not finish this, but I'm attempting to do 1000 tons of ore to Laythe. I just want to check and see if this mission profile is okay - can I keep the main mothership in orbit and drop the "container" full of ore down to the surface? That's a weird space mushroom you got there. yeah, as soon as the drop pod and the rest of the ship survive. Seriously though, I still play 1.3.1 too and I never used KJR since autostruts became a thing. Needs a bit of thought but works just fine. After reaching orbit, we dock with my orbital fuel depot, which is resupplied from a Minmus ISRU operation. The place is called Gus' Gas, and like most truck stops they offer a few extra amenities besides fuel. 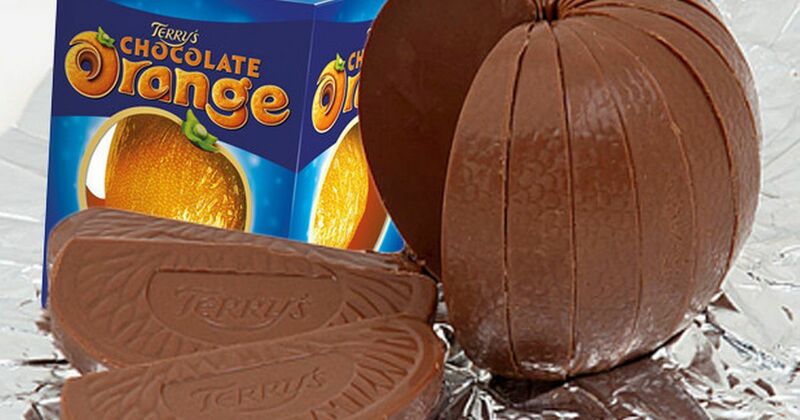 Haldorf purchases one of the giant Terry's Chocolate Orange's and the 4 x 2L K-Kola Value Pack. Tramal takes the other Orange as well as a paperback called "50 shades of green", while Padorf uses his jetpack to obtain a series of periodicals from the top shelf of the magazine rack. Sadly for me the actual pumping gas part was no fun at all. I usually build self refuelling spaceplanes with their own mining gear, having to manually transfer to every damn strake on this airplane was a miserable job - and i've got to do it all again when i reach Laythe..
Alright, I'm probably going to have to cancel my attempt, unfortunately. I got the drop pod and the reusable second transfer stage done and 90% tested, but then I took out KJR and the game does not like it when there is 1000 tons pressing down on a single 2.5m joint... I tried a few different autostrut options, and no luck. 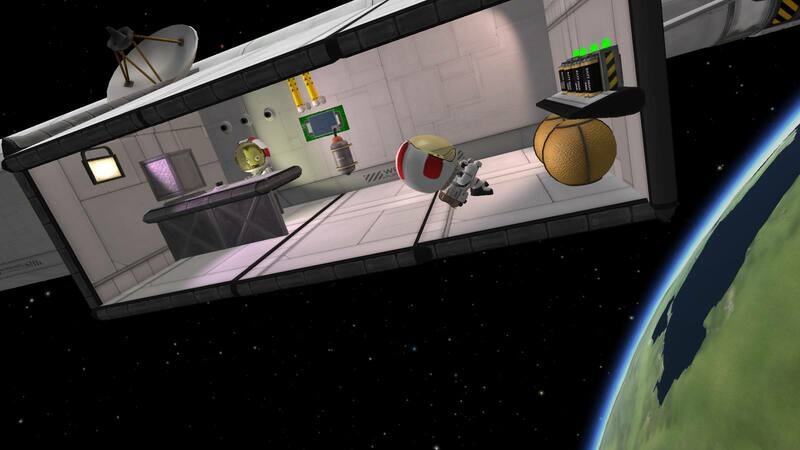 Before physics even starts, it seems, the entire drop pod falls and phases through the rest of the ship. 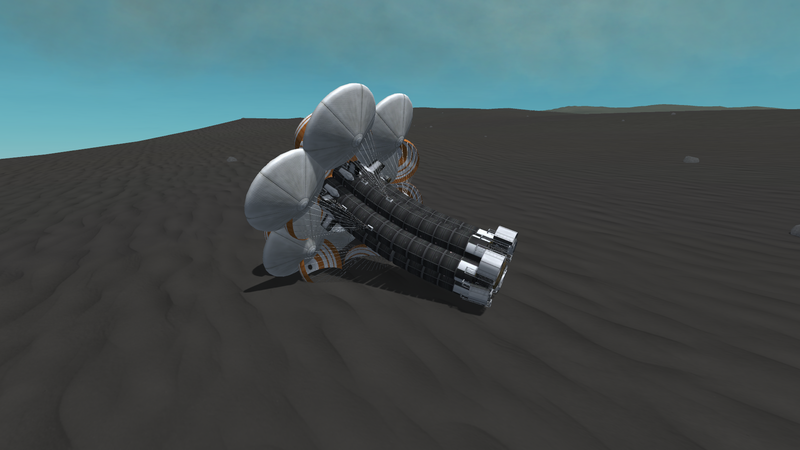 I can't use heaviest part autostrut, because the heaviest part is a fuel tank, and when the drop pod is decoupled it's an ore tank, meaning two different configurations have to work. I can't do root part because the root changes. I still can experiment with hundreds of normal struts, but this top section is already around 350 parts, not counting the first half of the transfer stage or the launch vehicle... It might end up too big for my computer to handle. Also my internet went out so I'm using my school laptop at school, so I don't have pictures right now. Various posts have been removed, which completely derailed the thread into a lengthy and somewhat acerbic off-topic debate about, of all things, Google image searching. Folks, this is a challenge thread; let's try to keep the conversation here at least reasonably related to the challenge? And, if it's not too much to hope for, in a reasonably friendly fashion, without criticism of our fellow forum members? Also, please do not "backseat moderate". Don't tell other people how to post or how not to post; it's not your place, and it's against forum rules (specifically, 3.2). You're not a moderator, so please don't try to moderate. If you think someone is doing something so inappropriate that they're actually breaking forum rules, then please just report the post, which will ping the moderator team and we can have a look. It's what we're for. No one who flies planes should be without TAC Fuel Balancer.